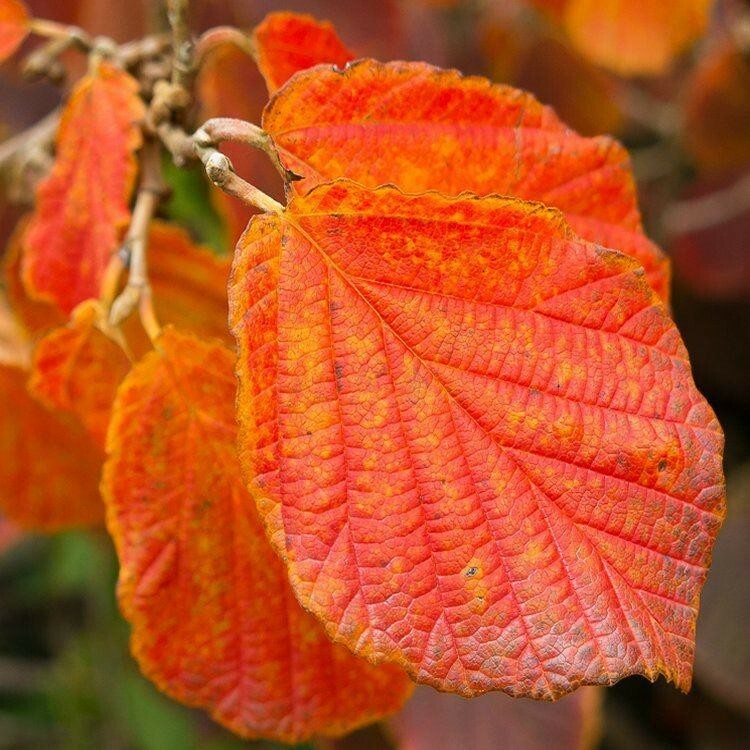 Orange Beauty is a really enchanting shrub for the winter garden that will surprise with colour and perfume during the dullest months of the year. When days are short, clusters of large, fragrant, bright gold-orange flowers appear all over the bare stems. 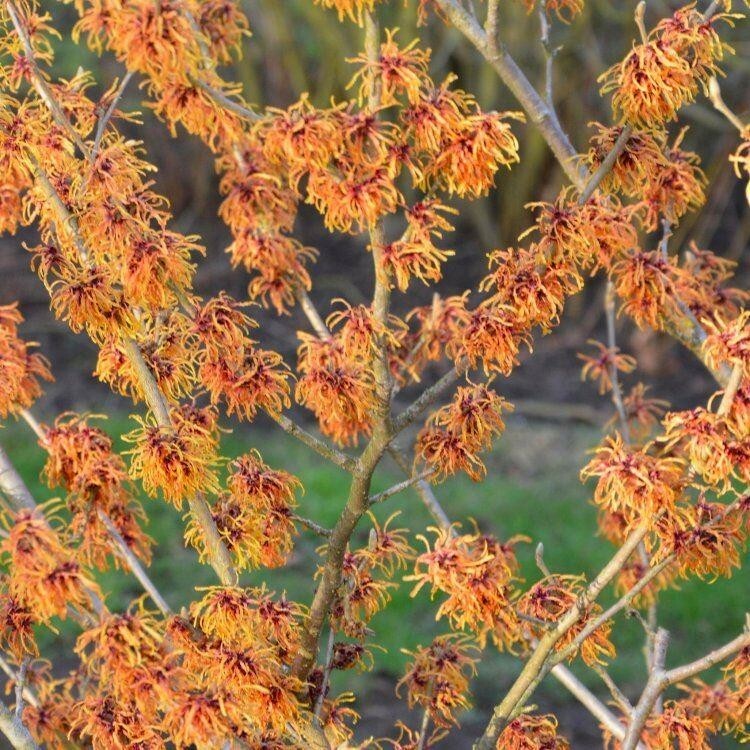 Hamamelis Orange Beauty creates a vase shaped shrub with layered branches that contrast well with the bright bark on the upright stems of dogwoods for example. 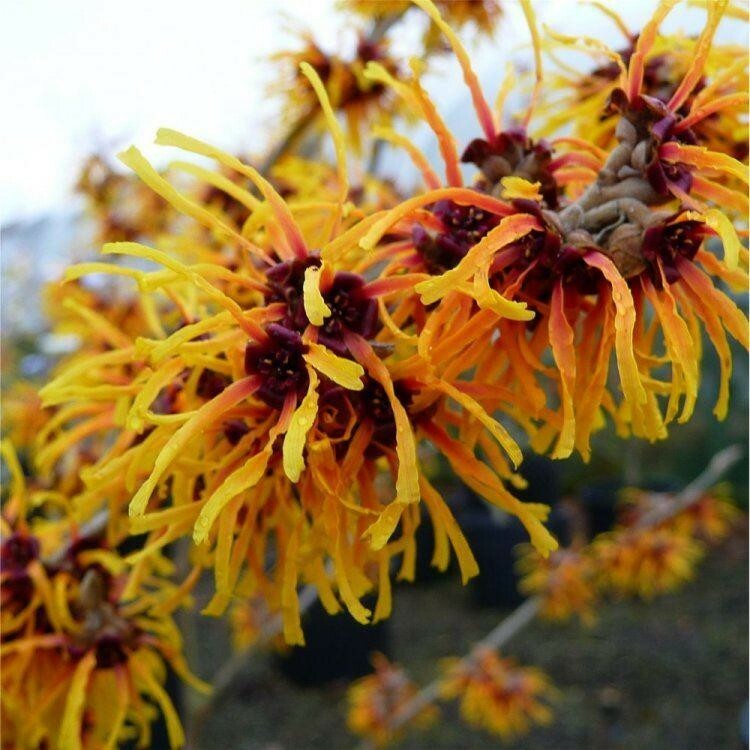 Thriving in virtually any garden, this Witch Hazel will make an ideal specimen plant for a sunny shrub border or woodland edge. Why not try it planted along with a winter-flowering viburnum, such as Viburnum bodnantense 'Charles Lamont', and enjoy the spectacle of two shrubs clothed in a mass of very different but complementary delicate flowers - with both of course being highly perfumed. 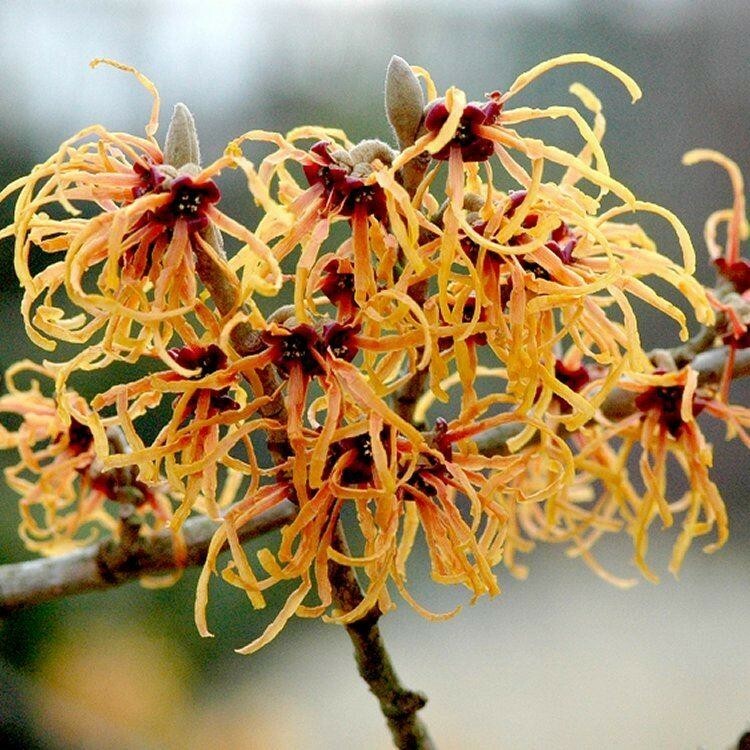 Winter walks in the garden can be a heady delight if you plant a Witch Hazel. Supplied 60-80cms tall, covered in buds in season, in approx 4 Litre containers.